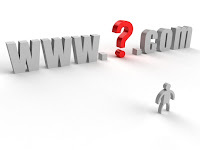 As I am blogging since last 1 year I know the importance of having your own domain. I changed to custom domain on 18-8-2011,because if I've some problems in buying domain name. Get The Following FREE Products & Services with Every Domain!!! Free Email Account: Send and recieve emails with your own 500 MB personalized you@yourdomainname.com email account. You get 15 Free Email Account(s). You also get FREE fraud, spam and virus protection. Unlimited Mail Forwards: Create email forwards @yourdomainname.com that redirect to existing email accounts. Domain Theft Protection: Lock your domain name, so that your domain is not transferred out accidentally or without your permission. DNS Management: Manage your DNS records, website location, email, sub-domains, aliases, FTP and more. Privacy Protect: Protect your personal information being displayed at WHOIS to safeguard you from spammers, data harvesters etc. Easy to use Control Panel: Manage your domain name, renew your domain name, buy more services or domain names using our intuitive control panel. Thus, I got my blog address changed from "chandeepsblogtips.blogspot.com" to "www.blogtipsntricks.com". Update:I was completely unaware that by registering a domain on domain4me.in, I've got a custom email Account completely free, I will add it to contact me page soon. i have sent you the procedures about the DNS configuration to your email id jagathkris@gmail.com check your email. I also want to know whether only registering domain in domain4me.in is enough for the process. Please help me friend i 'm new to blogging. procedures about the DNS configuration has been sent to your email id(kishanraj_vlr@yahoo.co.in) check your email. please send me the dns configuration for blogger(domain4me). Really nice post...please send me the dns configuration for blogger in domain4me. I have the blog http://fermicg.blogspot.in but i cant change to www.fermicg.com though I own that domain.Pleas help by mailing at samsan8@gmail.com.